NOTE: The Baltimore Post is republishing this article from August 17th, 2017, as a prelude to a follow-up article. NOTE: The Baltimore Post will address the issue of a voicemail message left on Mr. John Vontran’s answering machine by Councilman Todd Crandell pertaining to the Seagram’s property. The Post believes that the content of the phone message may be of vital interest to the voters of the 7th District. 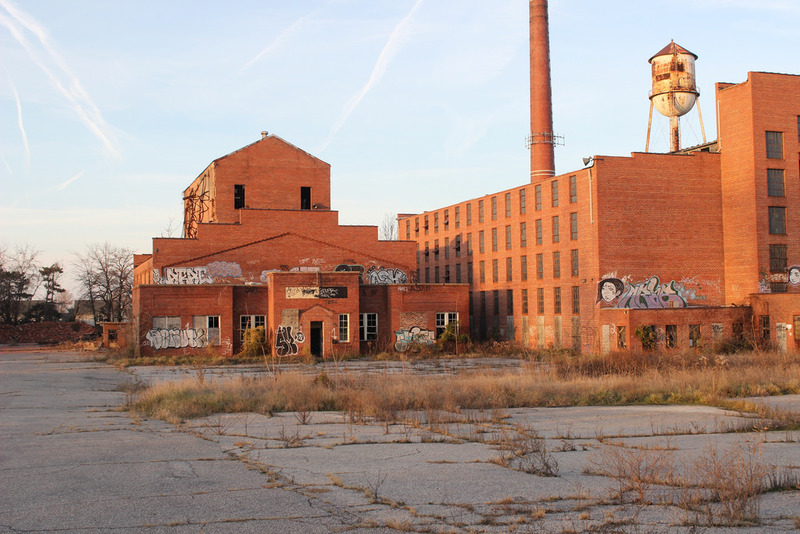 It now appears clear that the owners and property manager of the Seagram’s property have no intentions of meeting the August 31 deadline for complying with the court ordered demolition of the buildings still standing in the 7100 block of Sollers Point Road. After interviewing officials from the Maryland Department of the Environment, along with county officials associated with the permits and licensing division, it now appears that the Seagram’s buildings will still be standing tall after August 31. Just to bring you up-to-date on this whole debacle, here is the column that set off more sparks involving a councilman’s conduct, possible ethical violations, and the subsequent firestorm that erupted over this issue. In an effort to clarify the timeline, I will capsulize the events as they unfolded. Shortly after receiving phone messages left by Councilman Crandell, Mr. John Vontran let the word leak out to numerous sources regarding the content of these phone messages, as well as a text message. The Post verified the validity of Mr. Vontran’s statements and started our investigation into the details that led to the publishing of the above-linked column. Once we found the information to be reliable, the Post contacted Mr. Vontran and had several discussions with him regarding gaining access to the audio and text message from the councilman. During conversations with Mr. Voltran, he alluded to the fact that other publications were aware of this information. He further stated that, due to a lack of facts but plenty of inaccuracies printed in The Dundalk Eagle, he would provide the Post with the necessary documentation to prove his point. On that, he made a promise. The Post interviewed Mr. Vontran at length before publishing the first column in this continuing active story. There was one issue that was disturbing regarding the reference to Mr. Vontran’s thought process when he stated that the Post would have the opportunity to listen to the audio portion of the phone calls from Councilman Crandell when the timing was right. When pressed to the issue of the “right timing,” Mr. Vontran stated, “I have not given that any thought at this time.” At that point, it was obvious that Mr. Vontran was being deceptive. He also made reference to the fact that other local media had the information as well, and he then alluded to another rather disturbing analysis that everyone will get copies of the audio. At this point, the Post believed that Mr. Vontran was being disingenuous. Today, August 17, the Post conducted a visual inspection of the Seagram’s property and found no demolition activity being conducted. I contacted Baltimore County and was told there have been no permits issued for the demolition of the Seagram’s property as of today. During our last interview, I took specific notes when stated that those buildings would be torn down by the deadline on August 31. In fact, you explicitly promised me that you would comply with the court ordered demolition. According to the people I spoke to at MDE, there a number of regulatory issues that must be met prior to any demolition process. Can you provide any names of either asbestos abatement companies or documentation that proves your compliance with the regulatory process? I have given you every opportunity to be open and honest with me; however, at this point, I feel as though I am being misled. I plan to write a series of in-depth articles on this issue unless the deadline is met according to the court order. If the judge, in this case, does not assess the proposed fines, then I will request an investigation into the matter. If you wish to discuss this any further, please do so via email for the record. As you well know, the only other publication to even mention this story was the East County Times. The Dundalk Eagle failed to give any coverage to the story. I feel that my offer to report the story fairly, as outlined in prior emails, was made in good faith. However, that is not what I am seeing now. Please keep in mind that there are several witnesses that actually heard the audio recording you discussed with me. All of the accounts pertaining to statements involving said audio were accurate based on interviews conducted by the Post. I have also contacted delegates and senators regarding this matter. As I stated before, I cannot understand why you choose to withhold the evidence of the Councilman’s alleged misconduct. I have gone so far as to honor your request to refer to your statement as coming from a “source.” Journalistic standards do not require me to honor that request further if I believe that the information I’m receiving is not accurate. The below phone message from Mr. Vontran reiterates his promise to meet with the Post regarding the issue of the audio and text message from Councilman Todd Crandell. It should be noted that officials at MDE alluded to the fact that it may take more time to comply with the necessary remediation efforts by Mr. Vontran and the property owners. In addition, MDE further stated that it was up to Mr. Vontran to meet necessary requirements as required by law. That sentiment was also echoed by one politician. This was a key indicator that the politician making the statement was, in fact, alluding to the possibility that the August 31 deadline would not be met by Mr. Vontran. To be fair, it should be noted that this is the strictly the opinion of The Baltimore Post based on the latest information regarding the permits and what is required to meet the obligation of the property management and owners. Additional information in coming to this conclusion includes the amount of money involved in the undertaking to address the environmental issues, as well as the high cost of engaging in such a process without a definitive return on the investment. If anything changes pertaining to this column, the Post will provide our readers with the latest update.